With its square legs and seat and solid profile, the Hillview craftsman have once again jumped a little out of the box in their innovative design process on this popular Barstool. 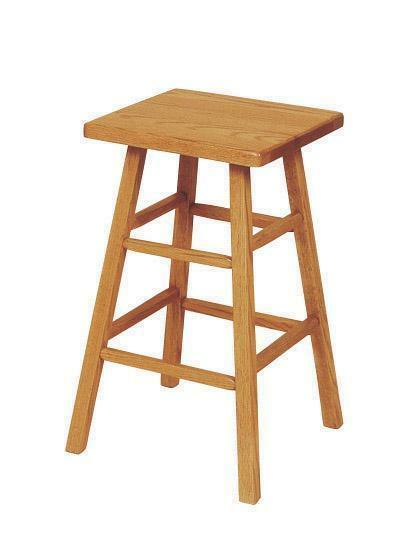 Still molded for comfort and constructed with carefully selected hardwoods, this stool is a great choice whether you're looking to surround a hobby table or dress up your breakfast bar. Call with questions, to order wood finish samples or to get an order started for our backless bar stool. You can also visit our brick and mortar Amish furniture store in Sarasota, Florida. Seat Height: 18", 24" or 30"